In 2016, I started a Facebook group called Your Kid’s Next Read with everyone’s favourite teacher-librarian/blogger Megan Daley from Children’s Books Daily. Our idea was to bring together a community of parents, teachers, booksellers, librarians and other interested parties to recommend great children’s books to each other, ensuring that every kid – be they a reluctant reader or an advanced reader – would have a ‘perfect next book’ for their reading journey. Both of these lists are terrific and the books and authors on these lists are STILL recommended over and over within our group. BUT, time passes, new members join and amazing new books come out all the time. Today, our YKNR community has 5000+ members and it’s a thriving, busy place (you should join us here). So, Megan and I, and our excellent moderator Allison Rushby, decided it was time for an update of our list. So we threw it open to our membership once again. These are the books that YKNR members thought were missing from our reading lists, along with some stellar reads that the YKNR Admin Team wouldn’t want you to miss. 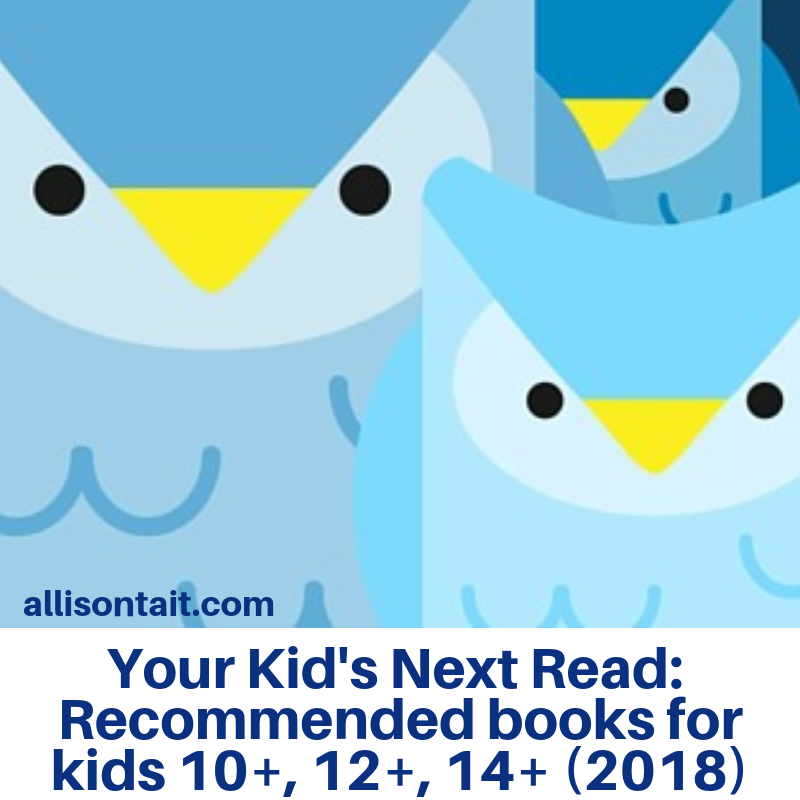 Click the book title* to find out more about each book to help you decide if it’s right for your kid. 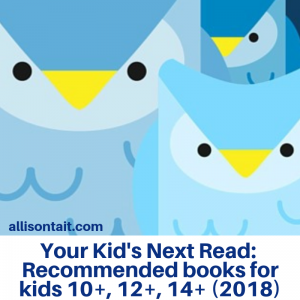 Between the new list and our earlier one, we just know you’ll find an amazing next read for your kid right here! Don’t forget to check the original recommended reads list here as well. Are you new here? Welcome to my blog! I’m Allison Tait, aka A.L. Tait, and I’m the author of two epic adventure series for kids 9+ – The Mapmaker Chronicles and The Ateban Cipher (click the titles to find out more about my books). *NB: This site uses affiliate links. You’ll find more information here. Most of the books on the lists are also available at your local independent bookshop, on Amazon, or at your preferred online bookseller.